Juicy and youthful Oh Lola! was launched in summer 2011. Oh Lola! fragrance is designed to refresh the upcoming hot summer days, described as ""lively, playful, irresistible, stylish and cheerful. "" The fragrance, signed by Ann Gottlieb, is blended from fresh and sweet fruity tones, together with floral accords of peony and velvety background of vanilla. The notes include wild strawberry, raspberry, pear, peony, sandalwood and vanilla. 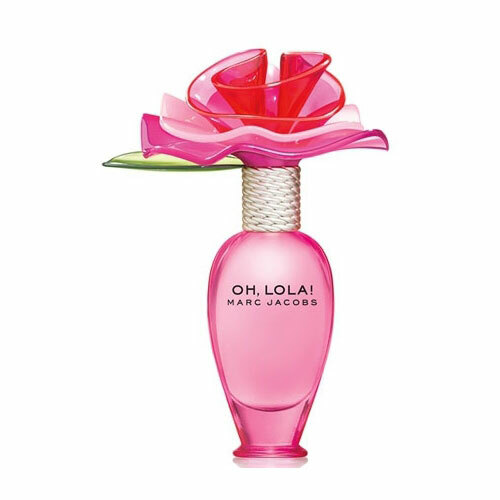 The signature Lola bottle has retained its original design, updated with pink color palette. The young actress Dakota Fanning is the face of the campaign shot by Juergen Teller. Oh Lola! is available as 30, 50 and 100 ml Eau de Toilette. Oh Lola! was created by Ann Gottlieb, Calice Becker and Yann Vasnier.